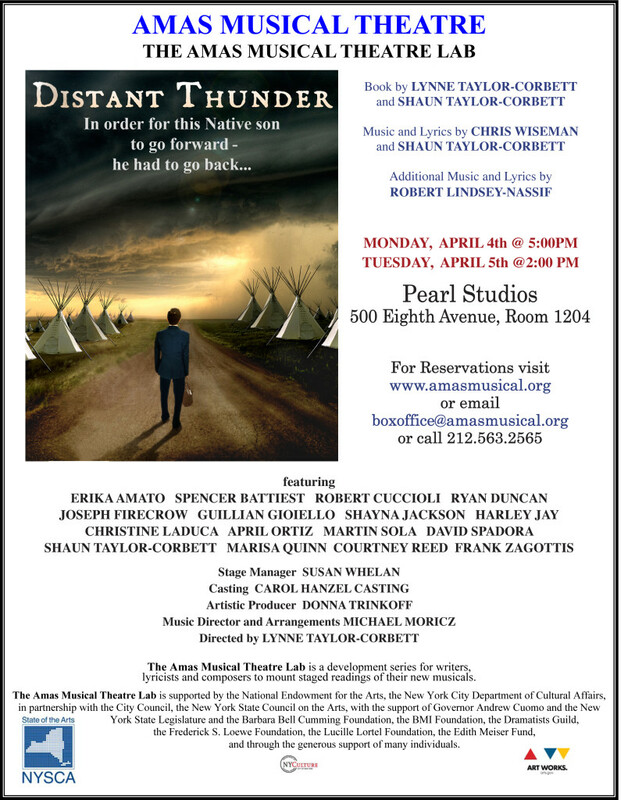 This week begins rehearsals for the upcoming industry reading of “Distant Thunder”, a new musical that tells the story of a “son reconciling his relationship with his father,” and “maintaining identity through language.” The story was also adapted into a screenplay that is currently involved at Sundance. “Language That Lives” is a glimpse of the Blackfeet people and their ongoing struggle to keep their culture alive. Our full-length screenplay, “Distant Thunder,” is based on their story and the story of a prodigal son trying to return home. Please visit our websites, www.shauntaylor-corbett.com, and www.lynnetaylor-corbett.com, for more information about “Distant Thunder” and getting in touch.